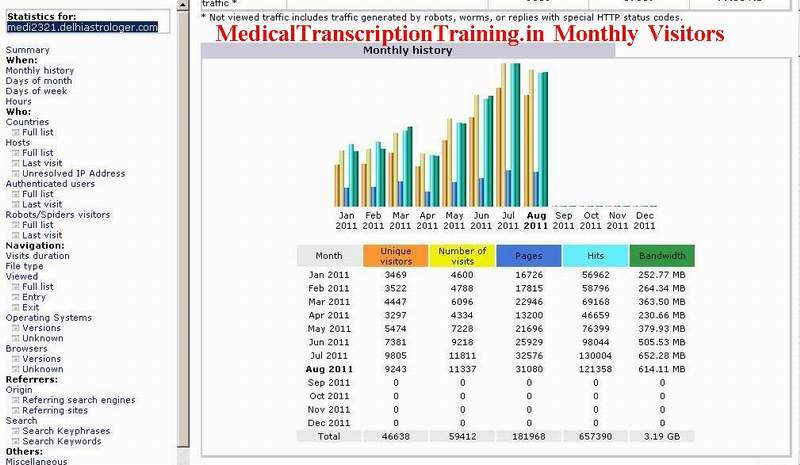 Their are Many Medical Transcription Services Like Jobs , High Quality Transcription Services , Medical Transcription Equipments , Transcription Books. 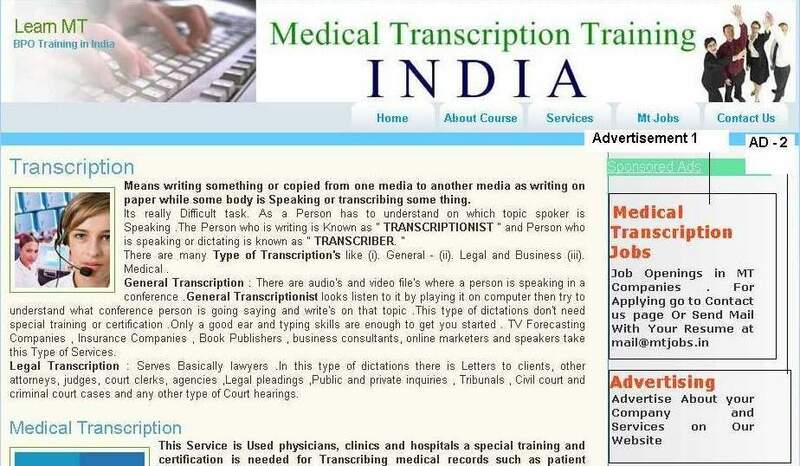 We Offers Advertisement For Companies , Training Institutes and Transcription Service Providers . You can have 1 lines of text that holds in it. The text will be hyperlinked to you website. We Will Check if it is available for advertising. More Over We have a Customize Plan in Which We Provide State Wise Advertisement Such as If any Training institute working in Mumbai Only Then We Give a Sponsored Advertisement on Mumbai Page. Rs. 1,000/- (One thousand) per block for 1 month ( Booking will be done for at least 12 Months ) .It will Make Rs.12000/- for 12 Months . Rs. 1,500/- (One thousand Five Hundred) per block for 1 month ( Booking will be done for at least 6 Months ) .It will Make Rs.9000/- for 6 Months . Rs. 3,000/- (Three thousand ) per block for 1 month ( Booking will be done for at least 1 Months ) . This is Applicable on All Pages of the Website - Including First Page of the Website. You will get a confirmation email of receipt of the money. Note, we will not issue paper receipt for the same. You will get an email once your ads are running. 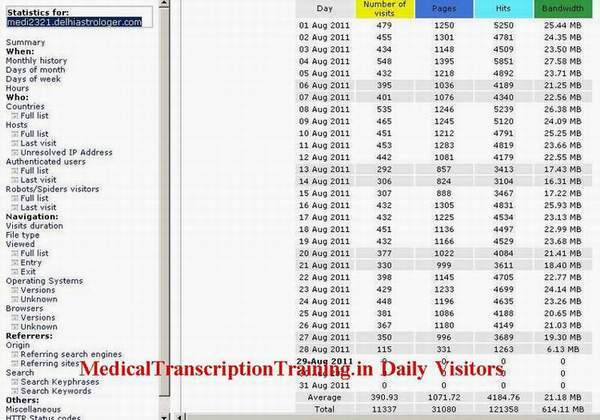 We Have a Special Offer For Online Medical Transcription Training Institutes as they can Give Training From their Office to Anyone living in Any Part of this world. Answer : We are Getting Many Enquires and Visitors Per Day which are Useful For Your Training Institute.